All types have advantages and disadvantages in any given application and each metering site must be evaluated independently to determine the optimum meter. It is important that an established meter function according to its specification and the data being recorded are compatible with the other source meter data being collected throughout the water utility. Detailed guidance on source meter types, function and management is provided in the AWWA M33 publication Flowmeters in Water Supply2. 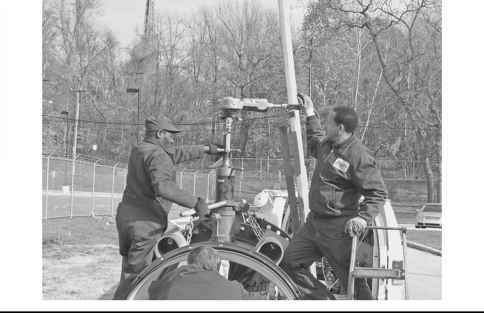 Figures 6.2 through 6.5 show a sequence of photos from the replacement of a large magnetic flowmeter on a raw (untreated) water supply main in Philadelphia. 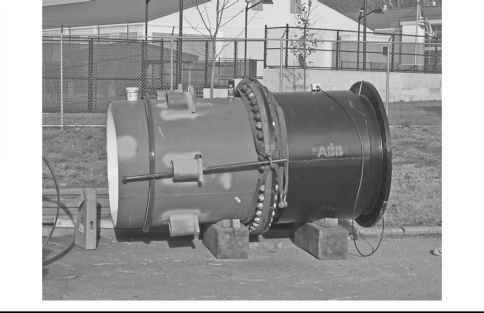 Traditional source meters are the full pipe bore type; or meter designs that consumed the entire pipe diameter. 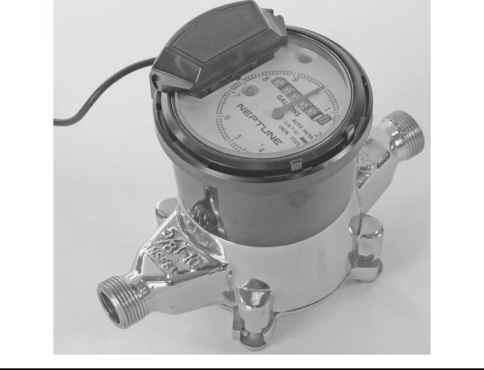 Some of these meters, such as propeller meters, induce a head loss through the pipe since part of the meter apparatus exists within the flow stream of the pipe. Full bore meters, particularly in larger sizes are costly and require considerable space. Water pipelines must be shutdown and dewatered to replace these meters. Still, many full bore meter types and brands have proven histories of reliable, accurate service for periods of many decades. In recent years, insertion-type metering devices have witnessed considerable evolution. 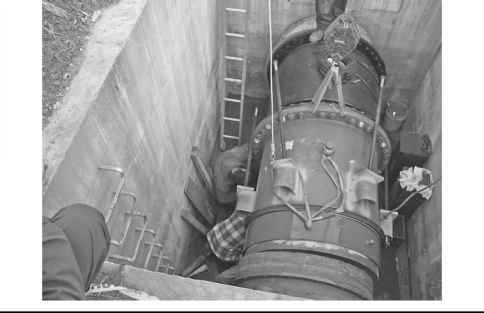 These meters offer advantages of lower cost, less arduous space requirements and no need to shutdown/dewater the pipeline to install the meter. Insertion meters can be installed in ferrules that can be tapped while the water pipeline remains in service. The insertable electromagnetic averaging flow meter is one type of reliable insertion meter available today. Many reliable types and brands of flowmeters exist in the commercial marketplace. Water utilities have many options at their disposal in selecting meters. The challenge becomes making the best reasonable meter decision to match the desired application in the field.